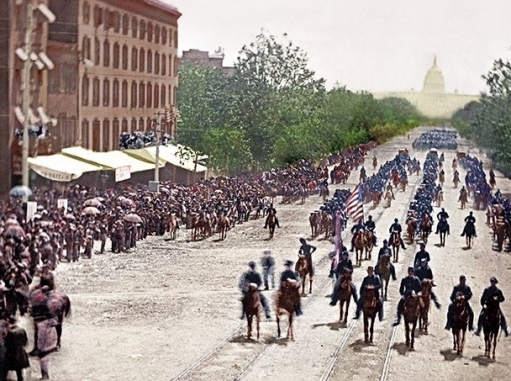 Posted to the right is a reminiscence of the victory parade down Pennsylvania Avenue that was staged a few weeks after the end of the Civil War. It took two days - with the Army of the Potomac marching on the first day followed by General Sherman's Army of the West on the next. "The Grand Review" was the brain-child of Secretary of War, Edwin M. Stanton and was attended by (so it was believed) over one hundred thousand people from the victorious Northern states. To read a short article about the most pathetic generals of the Civil War, click here.